Where did the idea for Vito come from? 'Honestly, there was no completely refined idea at the beginning. I knew the protagonist’s name was going to be Vito as I have always been a big fan of Mario Puzo’s The Godfather and I wanted the genre to be Jump’n’Run but even that eventually became some kind of Jump ’n’ Roll. I started with defining Vito’s persona and character (my girlfriend insisted that he had to be fluffy) and built the rest of the world around him. gamepad. So of course I wanted to become a game developer. Unfortunately the gaming industry in Austria was not well developed when it was time for me to get a job, so I went into software development in general, which I really enjoy since the start. It is much easier for individuals like me to create and release a game in their spare time these days than it was back in the year 2001. The indie scene grew, so I started thinking of creating a game again. That was about 4 years ago. What have been the highlights in developing Vito? 'Sound effects and music were the only things I was not able to create by myself, simply because I do not have any skills in things like that. My budget was very limited, so I started browsing various websites that offer stock sounds and music and finally purchased the ones that were most fitting for the story and characters. Have you & will you be creating any other games? From the author Ninichi: Thanks for taking the time to visit my blog! If you are looking for music for your game or project, I'd love to get involved. 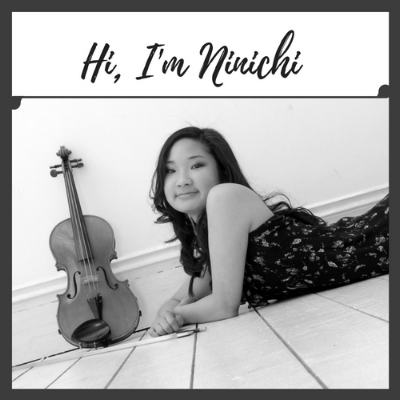 Contact me to explore working together or take a look at my bio: about me (ninichi) and game music.